I joined the Cat Fancy with my husband in 1976 with the purchase of a Red Point Siamese kitten. After successfully showing and breeding Red Points for some time, we ventured into all other colours and patterns of Siamese, still with emphasis on Red, Tortie and Tabby Points with the addition of Foreign Whites and Orientals. We then bred and showed Balinese with some measure of acceptance and success. I currently breed Foreign Whites and Siamese with the addition of the Longhaired Foreign White. I have bred and owned many Best in Show winners and Cats of the Year in this group. I have also bred and shown with great success Abyssinians, Devon Rex, Cornish Rex and Burmese – these also featuring in many Cat of the Year Awards .Although I no longer breed Cornish Rex I still own and show with some measure of success three Cornish Rexes a Male, Neuter and Spay. I have bred under the Fretomau prefix for over 30 years. I also owned a black Persian and successfully bred from her. 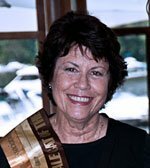 I am a Life Member and Secretary of the Federal Cat Club of Australasia Inc, a Life Member of The All Breeds Desexed Cat Club of Australasia and presently President of Kempsey Kat Klub and actively involved in other country Clubs, having moved to Woolgoolga on the NSW North Coast. I am at present a serving member of the NSWCFA Management Committee and a Life Member of the NSW Cat Fanciers Association. I have been involved in the cat fancy for over 30 years being introduced to the cat fancy by my mother. I bred and showed Persians including silvers, pointed varieties and bi colours and of course like many others, devoted time working at cat shows. My house has the bounce of the shorthair Singapura and the beauty of the Persian; I have held a number of executive positions within the cat fancy and previously, served on the NSW CFA Management Committee. I am an All Breeds Judge and a Group 1 Tutor Judge. In my spare time I work full time in local government managing a large team of community workers and enjoy the company of my daughter, my cats and dog, Eddie. 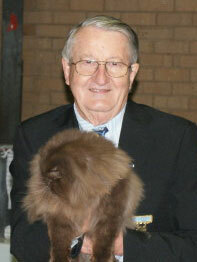 Retired breeder of Burmese under the prefix of "Aurora" with success on the show scene in Australia, Europe, Poland, Russia, South Africa, Canada, USA and New Zealand. My love of Burmese started about 33 years ago with a rescue cat in Sydney. I have held numerous positions of office within the cat fancy in Queensland, including Registrar and Secretarial duties during which time I set up a large database using Fife EMS codes for one council. I was President of The Burmese Cat Society Of Qld (a QFA affiliated club) for many years. 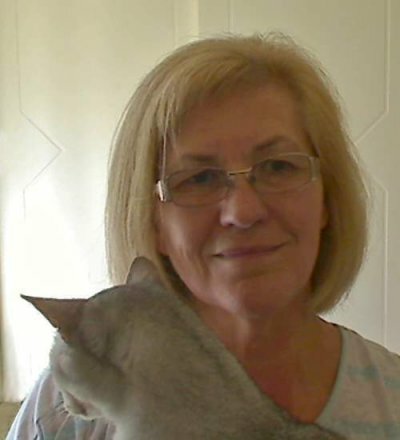 I am interested in cat welfare, and was a committee member in 2009 for fundraising for Native Wildlife injured and displaced by Australia�s worst bushfires. I enjoy Judging and was privileged to be judging at the ACF National in Hobart 2007, and in five Australian states, the Northern Territory and for several Clubs in NZ. I was a member of The Gold Coast Cat Club for 19 years and was Secretary for that club for a while. I have always loved animals, especially cats, my first cat was a present for my 8th birthday, a cream Burmese. My mum and I joined the cat fancy and the Burmese cat club after buying our first show cat in 2007, and very naughty chocolate tortie Burmese. We also starting breeding Burmese around the same time under the prefix ’Misara’. I really enjoyed showing our cats and wanted to be more involved in the cat fancy, and when I thought I was ready and the judging course was offered I jumped at it. In my day to day life I am a theatre nurse at a major teaching hospital in Sydney. I find this work to be rewarding, challenging and very interesting as you never know what is going to come through the doors. Even though I am very new to the world of judging I hope to get the same fulfillment out of it as I do my job, because you never know what you’ll be faced with. I have been involved in the cat fancy for over 20 years after purchasing my first purebred cats (a Birman neuter and a Turkish Van female) in 1992. I bred and showed Turkish Vans until 2000. In 1998 I decided to stop breeding Turkish Vans and import Norwegian Forest Cats. There were none in Australia at the time and I have been showing and breeding Norwegians for 16 years. 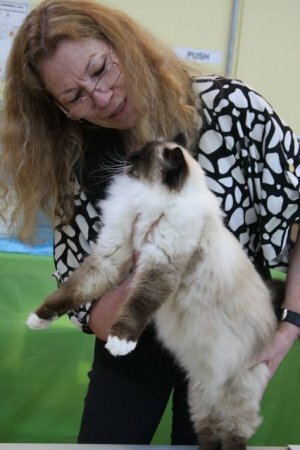 I was Treasurer and Show Secretary of the Birman Club for a few years and am now Treasurer for the Longhair Cat Association. I have also been a steward for many years and I’m the editor of the Catching Up journal. I have been involved in the cat fancy since approximately 1986. During that time my husband and I have bred and shown Persians and Exotics (solids, colourpoints and bi–colours). During this period of time we were regular exhibitors at shows, except for a period of time where I took a brief hiatus to study law. We both feel blessed that we were able to enjoy some success on the show bench with our breeding. 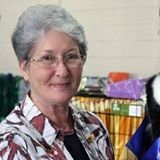 With my husband and children I have donated time working at and supporting cat shows in a variety ways. Not only have I had the joy sharing my life and home with Persians and Exotics but currently enjoy the pleasure of the company of a Siberian and a Bengal. I have held a number of positions in cat clubs over the years and I presently hold the position of President of the Longhair Cat Association of NSW. In 2008 I attained my Group 1 Licence and in March 2015 I was granted Group 1 Tutor Judge status. In March 2017 I attained the status of All Breeds Judge. I come from a family of cat lover’s and therefore have always had a cat to curl up on my lap since my childhood. I developed a love for the elegant and talkative Siamese as a teenager, and when I was 15 acquired my first Red Point male, Conan in 1990. I showed him as a member of the RAS Cat Control for 2 years and he sired a few litters with my mother’s Seal Point female under her prefix ’Eronel’. 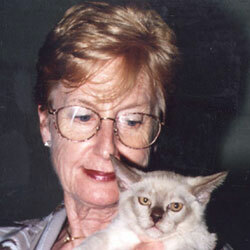 I returned to the cat fancy in 2005 showing a beautiful Blue Point female as a member of the NSW CFA. I started my breeding journey with her in late 2005 when she had a wonderful litter of 6 kittens from an Oriental stud under my prefix ’Zoel’. I still have a neuter boy, Zeus from that first litter who enjoyed many years on the show bench. 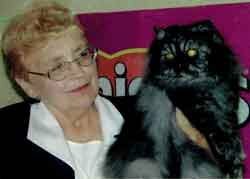 My late mother also enjoyed participating in the cat fancy as a member of the NSW CFA and accompanied me to most shows, initially showing a black Oriental neuter Romeo; he was also born in my first litter, and later exhibiting some other beautiful show neuters she spoilt over the years. I am proud to have achieved many Top 5 cat of the year awards and have had the honour of breeding a Supreme Exhibit. I continue to breed Siamese and Orientals and remain active in the cat fancy as an exhibitor and worker. I qualified as a steward in 2007. I have a small cattery and breed my kittens for health, temperament and show quality. Currently my cat family consists of 5 felines. I have been a member of the Oriental Cat Club of NSW for many years, previously assisting as show manager and serving on the board as club treasurer, a position I still hold. I attained my probationary shorthaired Judge’s license in 2015. I consider myself privileged to admire, handle and judge the show exhibits and I have developed an appreciation of the diversity of exhibits in Group 3. In my normal life I am a mother to 5 children, with 3 boys still living at home ranging in ages from 17 to 5 years who keep me busy and our cats entertained. 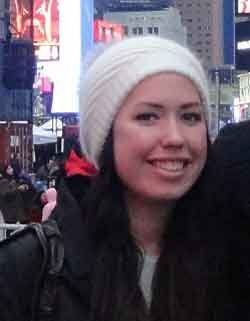 I am halfway through studying for a Bachelor degree in Midwifery at UTS. Living and growing up on the Northern Beaches I usually spend most of the summer as a beach bum, reading a good book, when not attending cat shows! Animals have always been important in my life. After growing up with the company of whippets, greyhounds and a succession of cats of varying descriptions, I became interested in cats in a serious way after forming a liaison with my first Abyssinians, a tawny and a silver, in 1989. Initially, it was just an involvement in showing cats. Breeding them soon followed, specialising in Silver Abyssinians under the Nivalis prefix. Today, we have a multi–cat household, each of them allotted time according to their need to love and be loved. All cats are special and each is unique, regardless of their ancestry. I am a member of several cat clubs and have, for many years, been actively involved with the Abyssinian Cat Club of Australasia serving in roles including President, Secretary, Treasurer and Show Manager. Since 1998 I have been active as a steward, enjoying assignments in all groups. In 2003, I qualified as a Companion Exhibit Judge. My pedigreed judging experience began with Group 3 (full licence 2010), followed by Group 2 in 2013, attaining my Shorthair Judge’s licence. In 2016, I was completed my Longhair licence (Group 1) and am now fully licenced as an All Breeds Judge. Currently residing in the Hunter Valley Wine Country region of NSW, I enjoy observing and learning about our local wildlife. Apart from my strong interest in all things feline, other interests include zoology, reading, embroidery, quilting. I became involved with cats and the Cat Fancy about 25 years ago with the gift of a seal point Siamese kitten who became the mother of my first show kitten – a blue point Siamese. Since that first show I have been actively involved with the Cat Fancy as an exhibitor, breeder (chiefly Orientals and Siamese but also, fairly briefly, Devon Rex) and worker – being regularly involved in the running of shows and assisting on the executive of a number of Clubs and am a Life Member of the St George District Cat Club and the Oriental Cat Club of NSW. For the last 8 years I have had the pleasure of sharing my home with the wonderful Norwegian Forrest cat, in addition to an Oriental. I am currently Senior Vice President of NSW CFA, chair of the Judges/breeds and education/compliance subcommittees and an active member of the Management Committee and recently finished co–ordinating a Shorthair Judges Training Course. 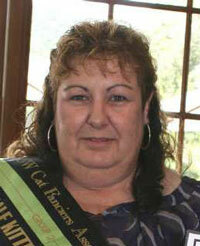 I am also a member of the breed committee of the Co–ordinating Cat Council of Australia (CCCA). I commenced judging with Group 2 (1996), followed by Group 3 (1998) and in 2005 I completed my Group 1 training and became a fully licensed All breeds judge in January 2007. I have enjoyed immensely judging in the ACT and all states of Australia and regularly in the North and South Islands of New Zealand. Away from the Cat Fancy I am a solicitor practising from the small regional town of Mittagong. In my rare moments of spare time I enjoy sourcing art deco and retro furniture, gardening, bushwalking and reading. I have been involved with the cat fancy since 1988, when I first registered my breeding prefix "SINJIN" under which I have exclusively bred Siamese & Orientals and much to my delight achieved numerous Breeder/Owner Cat & Kitten of the Year awards over the years. 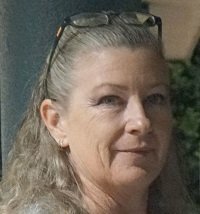 I’m a founding & life member of The Oriental Cat Club of NSW and have,, over the years of my involvement with this club, held the positions of Treasurer, Show Manager and Show Secretary & I currently hold the position of President. I am also currently a member of the NSW CFA Management Committee. I became an approved steward in 1994 and then a NSW CFA Companion Judge in 1999. In March 2015 I successfully completed the NSW CFA All Shorthair Judges Training Course (Groups 2 & 3) and was granted a Probationary Shorthair judges licence. My love & admiration for all felines has given me enormous pleasure in my Companion judging and stewarding and & I am looking forward to continuing that experience in judging and handling the amazing pedigree breeds of cat we have on the show bench. In my other life,... What other life?? ......The Cats Rule it!! I have always had cats, firstly moggies then my father bred Seal Point Siamese. I met a pair of Burmese in the early 1970’s and fell in total love with them, specially the Blue Burmese. When I settled down in Sydney I went in search of a Blue Burmese and ended up with a Lilac and Chocolate – they converted my partner Don to cats and in particular Burmese. He in turn converted me to Labrador Retrievers. We moved out of the city to Moss Vale – we had space and time so I commenced breeding and showing in 1987 under the prefix Bima. I breed all colours of Burmese and love them all – my favourites are blue, red and blue tortie. This led to stewarding which gave me a love of many other breeds and in 1994 I commenced a judging course. I completed Group 2 in 1996, Group 3 in 1998 and in 2009 completed Group 1. I have judged in most states of Australia as well as in New Zealand. 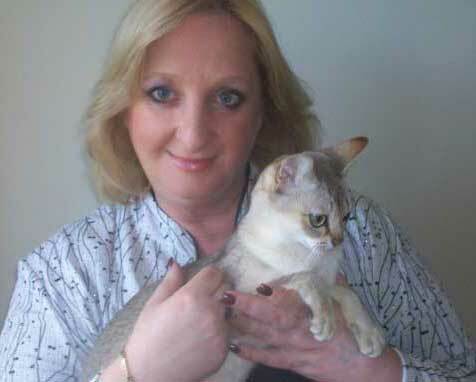 I have been involved in clubs – club secretary, committee member and am currently President of the Burmese Cat Society of Australasia. I have experience as show manager as well as working in card rooms and trophies, also lots of experience setting up and pulling down shows. In my other life I am a registered nurse and midwife and currently work in a neonatal nursery. 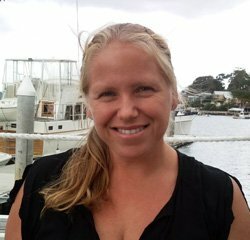 I have experience in management, aged care, education, women’s health, aboriginal health, community health and paediatrics. My other interests are gardening, patchwork and quilting. From early childhood I have had a lifelong association with various domestic cats and also a Manx. My husband and I purchased our first Burmese in 1983. In 1985 we began showing, after purchasing two further neuter boys, both of whom were absolute family favourites with their wonderful temperaments. Further kittens were bought in 1999, and later and so continued the showing. I had made up my mind around this time that I would like to breed these gorgeous cats, however, this did not occur until 2006 when I purchased my first two breeding girls, and began breeding under the Sukimah prefix with some success on the show bench. Stewarding followed, which I found to be a most rewarding experience, and one which enhanced my appreciation of other breeds. This in turn led me to studying for an all shorthair judge’s license. For some years now I have been and am the current secretary of The Burmese Cat Society of A’sia, and previously I was the treasurer for quite a few years. For a period of time I was also the minute secretary of the Newcastle & Hunter Valley Cat Club Inc. I am a current member of the NSW CFA Inc, and I am a member of both the Compliance/Education and Judges’ Sub Committees. In my private life I work as the fulltime practice manager of an accountancy practice. Among some of my interests outside of breeding and showing cats, are car hillclimbing, reading, gardening, my family and simply spending time with our beautiful cats. I have always had a love affair with cats for as long as I can remember and would always befriend any cat I came across. I got my first pedigree cat in 1977 and started to show in 1978. He was a red point Siamese and this was the beginning of my involvement in the cat world. 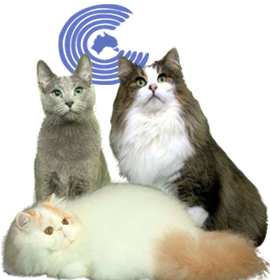 Together with my husband Ray, an All Breeds Judge, we breed and show both Siamese and British shorthair under the Tomadah Prefix. We specialise in red, cream and tortie point Siamese which have taken out many Best In Show and Group 2 Cat of the Year Awards. We live in Griffith in the heart of the Murrumbidgee Irrigation Area and in 1982, with the help of others, were instrumental in the founding of the MIA Cat Club. For various periods over the years since then I have held the positions of President, Vice President, Secretary, Treasurer and Publicity Officer of the Club. 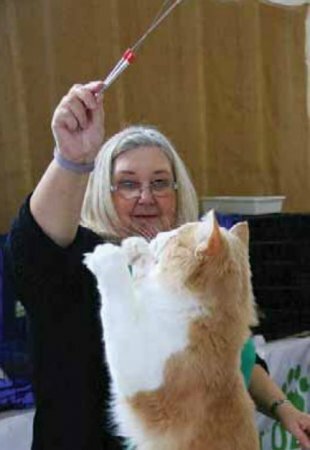 I am an experienced Steward and completed the Companion Cat Judges Training Course in 1997 and since then have judged at many shows. I successfully completed the Group 2 Judges Training Course in 2001, obtaining my full Group 2 Licence on 1 July 2003. I am the "Country Boy" on the NSW CFA Judges Panel, licensed to judge all breeds and have judged throughout New South Wales from Broken Hill to Sydney, from Lismore to Wagga Wagga, and all parts in between as well as in Queensland, South Australia and Victoria. I was a foundation member of the MIA Cat Club in Griffith and the President & Show Manager at the Club’s first show 21 years ago. In conjunction with my wife Christine, I breed Siamese in all colours and British shorthair under the Tomadah prefix. In recent years our Siamese have been well represented in the Cat Of The Year Awards. 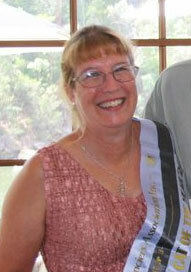 I am an All Breeds Judge with NSW CFA, on the judging panel for CCCA and I am an Accredited All Breeds Tutor Judge. I have helped with the training of many NSW and interstate Judges. I have judged throughout Australia and New Zealand where I have made many friends throughout the Cat Fancy. I enjoy my judging assignments and consider it a great privilege to be invited to judge and handle so many beautiful felines and such a variety of breeds in Australia & overseas. The first pedigreed cats I owned were two neutered pet Chinchillas which I learnt to groom & care for on a trial by error basis. In 1975 I purchased two Seal Point male kittens which the breeder urged me to show. After winning two Best in Show awards with Nikolas I neutered Czar, purchased a SP female and started breeding my Sucheng Siamese. Since then I have bred many Seal Point & Blue Point kittens and have imported cats carrying famous UK & NZ bloodlines to improve my Siamese breeding stock. I have always been intrigued with Abyssinian cats. This is a cat which is difficult to judge and a challenge to breed so I took up the challenge and imported a Tawny Abyssinian female from NZ. Since then I have bred and shown Tawny and Cinnamon Abyssinians. I was President of the Siamese Cat Society for many years in 1996 I resigned from that position to become President of the Siamese & Shorthair Cat Club. This club features at its annual Championship Show, special rings for nominated breeds, plus Top 10 best in show awards in the VIP Ring as the highlight of the show. The other specialist Breed Clubs I support are the Abyssinian Cat Club, the Burmese Cat Club, the Oriental Cat Club and the Bengal Club. I have been involved with the Australian Mist Breeders Association, as a member and have worked closely with Dr Truda Straede during the formation of this popular breed and am now their Patron. Creating a new breed is a challenge and it has been a great pleasure to have been involved with the Burmilla Breeders Association helping with assessments of their cats and kittens during their quest for full breed recognition. 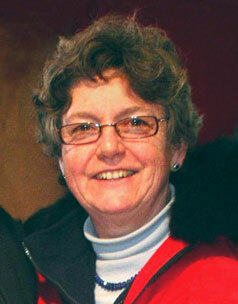 I have been a member and registered breeder since 1975. I was elected to the Consultative Committee RAS Cat Control in 1984 and remain a member of the current Management Committee. During those 22 years of service I have been involved with fundraising & was responsible for organizing Cat of the Year Luncheons and Champion of Champion dinners for many years. I have also been involved in training classes for Shorthair Judges, Domestic Judges and Stewards. I have been a delegate for CCCA meetings and have worked on the Breed Standards Committee and the Judges Training Committee. My goal is to see a United Australian Cat Fancy where all the controls work together to promote the breeding and showing of our pedigreed cats.